Dr. Darwish Al-Emadi is the Acting Vice President for Research at QU since 2015. He is also a member of the Arab Barometer’s steering committee. Dr.Al-Emadi’s career in higher education spans over three decades, spent mostly at Qatar University in a variety of academic leadership positions. 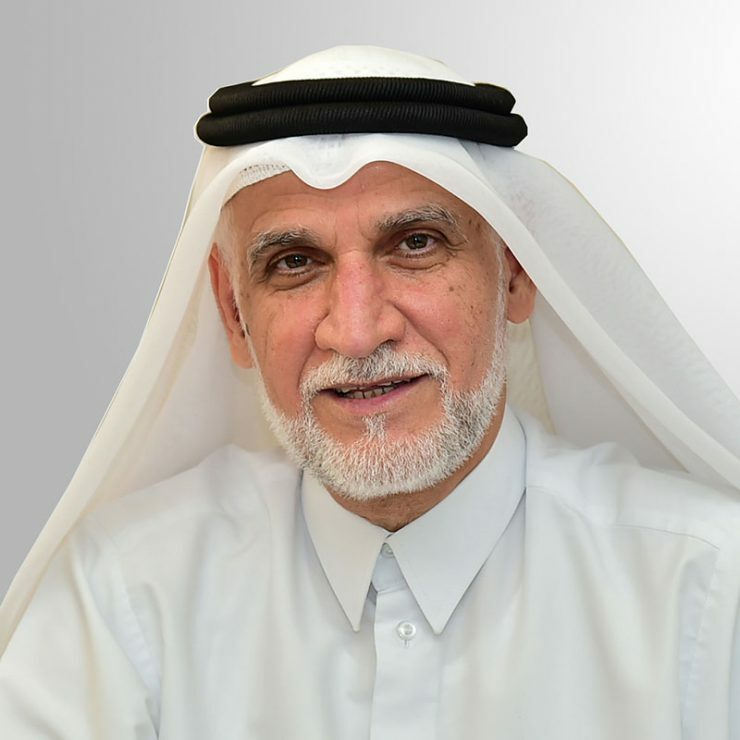 In 2008, Dr. Al-Emadi became the founding Director of Social and Economic Survey Research Institute at Qatar University, a thriving research center with a mandate to conduct high-quality academic surveys in areas of interest to the Qatari society. In 2014, he assumed the position of Associate Vice President for Research Operations, overseeing the operation of five research centers. In 2015 Dr. Alemadi was appointed Acting Vice President for Research at Qatar University.In 2016 Dr. Alemadi has been appointed as Chief Strategy and Development Officer. Dr. Al-Emadi’s research interests, publications, and conference presentations reflect his interest in sociolinguistics, and more recently in the area of survey research. He is currently the Chair of the Scientific Advisory Committee of the World Values Survey Association, and a member of the scientific advisory committee of the European University Institute and a member of 7th QS MAPLE International Academic Advisory Committee (IAAC). Alemadi D, D. Howell, and A. Diop (2011). Comparative Survey Research in the GCC Region. Paper presented at the 4th ESRA Conference in Lausanne, Switzerland , July 2011. Alemedi D., H. Abdul-Rahim, and D. Howell (2011): Building Survey Research Capacity in the Gulf Arab Region: the case of The Social and Economic Survey Research Institute (SESRI) at Qatar University. Paper presented at the 66th AAPOR Annual Conference, May 12-15, Phoenix, AZ. Meeds R., D. Alemadi, and A. Diop (2011): Trusted News Sources as predictors of Qatari attitudes toward social and public issues: an analysis of the first annual omnibus survey on life in Qatar. Paper presented at the 2011 AUSAGE conference, Beirut, Lebanon , October 2011. Darwish Alemadi & Juston Gengler, 2011, “Civil Society and Democratization in the Arab Gulf” . Paper presented at Qatar Foundation Annual Conference Forum Nov 20-22, 2011. Dr Darwish Alemadi, Dec 2011, “ Why Social Sciences Research’?. Paper presented at 8th International Conference on Islamic Economics and Finance, faculty of Islamic Studies, Qatar Foundation, Doha, Dec 19-12 2011.